As Human Beings….we have these desires in common. We want to feel safe. We want to feel appreciated. We want to feel connected. We create safety in our group by deeply listening to each other as we share our concerns. Through sharing, we discover that we are not alone in our challenges. Group members become stronger and more resilient, as they are appreciated for who they are, as they are. We value each person’s experience, and we learn from each person’s sharing. 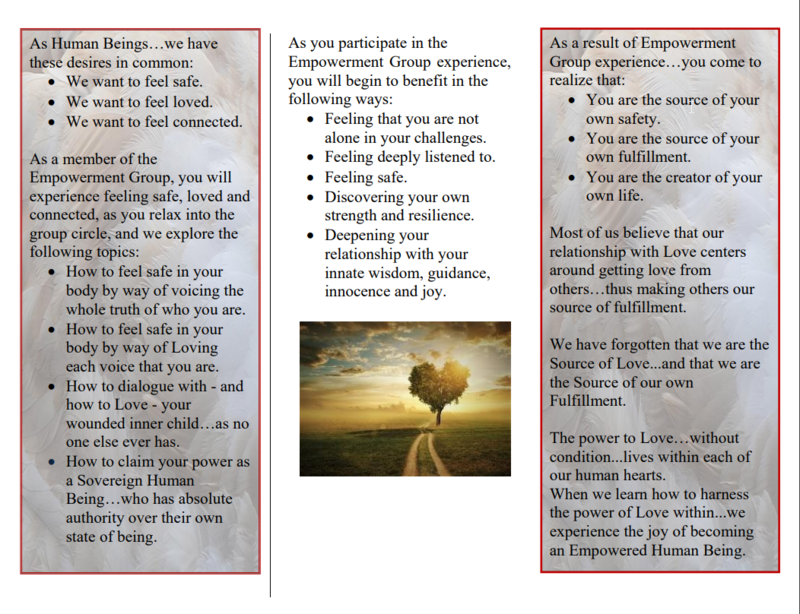 In this safe and positive space, we reclaim our power…..
We learn how to become the source of our own safety and fulfillment…..
And we renew trust in our own innate wisdom and guidance. 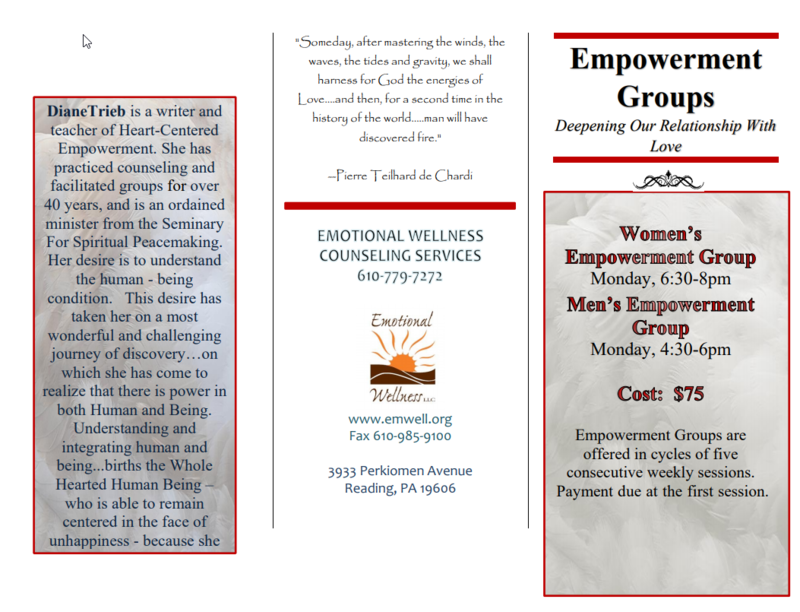 5 week sessions of the Women’s Empowerment Group are ongoing Mondays, from 6:30 – 8pm, at the Emotional Wellness Center located at 3933 Perkiomen Avenue in Exeter. Each session meets for 5 consecutive Mondays. The fee for 5 sessions is $75. 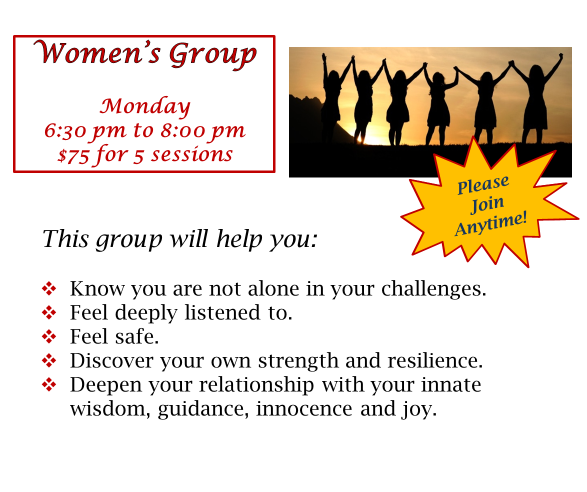 If you believe this group would be helpful to you, then you can register by contacting the facilitator – Diane Trieb. Diane is a writer and teacher of Heart-Centered Empowerment. She has practiced counseling and facilitated groups for over 40 years, and is an ordained minister from the Seminary For Spiritual Peacemaking. 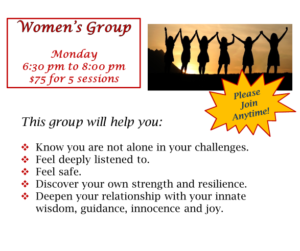 Diane believes in the power of intentional groups…..and in the power of women.